D'reens Catering & Kitchen Socials is offering FREE delivery on all catering orders exclusively to Chamber members! For orders being delivered outside of the city, a discounted fee will be applied. It must be stated at the time of ordering that you are a Chamber member in order to have the FREE delivery rate applied. College Pro Painters is offering 15% off all interior and exterior painting for Chamber members. To claim the discount, contact Kordel Prout at (306)381-3050 or kordelprout@collegepro.com and mention the Chamber discount at the time of quote. Get a FREE computer and network security assesment from Burnt Orange Solutions AND a FREE 2 hour 'get to know your tech' session. If they can't find anything wrong, they will donate $200 to your favourite charity! 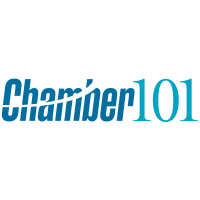 Chamber members can also receive 12% off any services. Offering unlimited golf and complementary cart rental for two, with any cabin or townhouse rental for two nights (at anytime). Not valid with any other promotion, offer or special rate. The Chamber member must make the reservation and be present during stay. Members can only redeem 1 offer at a time. Offer not valid on weekends. Sharp 3071 Colour MFP Promo! 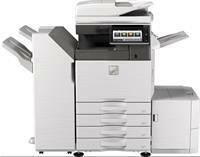 The New Sharp Color Advanced Series document systems deliver cutting-edge integration and powerful productivity. Bruce's Cycle Works is offering 10% off regular priced parts and accessories to all Chamber Members.